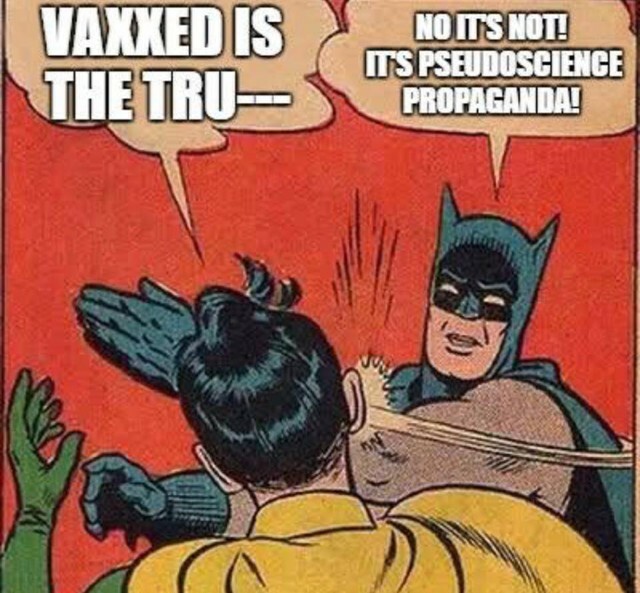 "Nevertheless, I am confident that the global medical and pharmaceutical community is correct about the importance of vaccines. And, flicking through the anti-vaccination publications, some things jumped out at me as examples of their deeply flawed epistemology. One was a quote from Bill Gates at a 2010 TED Talk, printed under the heading "Vaccination for... Depopulation?" The quote read, "The world today has 6.8 billion people. That's heading up to about nine billion. Now if we do a really great job on new vaccines, health care and reproductive health services, we could lower that by perhaps 10 or 15 percent." If RABBI, DR. Slifkin you were doing the proper "bridge building" (head-heart) to grow in character as every human, & certainly, every Jew should be doing - you would understand that you could actually learn something from even the "PEACH" people (I actually founded PEACH). The valuable trait to which I refer is called "humility". One of the major perks of humility, because I value others' knowledge, is ALWAYS learning something new from people vs arrogance in which your knowledge capacity is already overflowing & you have nothing new to learn since you're now the Uber-chacham. Not only are you doing yourself & your family a colossal disservice by your unfounded confidence in a well established criminal entity & industry run by convicted felons many times over - BUT you have the harm caused to every one of your fawning readers on your already overburdened shoulders. Do you really want to have to "pay" for all that harm? There's a Judge, you know, & no human gets away with ANYTHING, whether you "believe" or not (even self-proclaimed vaccinologist atheists like Drs. Stanley Plotkin & Paul Offit have plenty to fear). You, and many, many guilt ridden doctors, rabbis, & pitiFOOLy irresponsible parents have their heads & hearts deep under the ground in denial on the open & shut case of vaccine criminal genocide. Though the truth always rises to the top - and you, as well as all the other G-d deniers, will personally suffer unimaginably painful & humiliating shame... I still care for my fellow Jew enough to try once more - you would have immensely greater success & heroic fame by honoring our genuine gedolei haDor on the vaccine issue. You probably can't even wrap your mind around the degree of severity of the violations of shmiras halashon, onaas d'varim, & many aveiros you are committing by being mezalzel gedolei haDor with your blog. We have THOUSANDS of mothers in our networks who are laser-focused in their powerful t'FEEL'ot to have you & your ilk considered as "malshinim, minim, & zaidim" & that the world should see middah k'negged middah. We also have nonJews in mind for the Bracha al ha'tzaddikim who are genuine world class heros who manifest G-dly middos. Why should you leave yourself out of the loop of real success? Has your heart been so hardened & "vaccinated" with cruelty? Give yourself a way out of the vax-schmutz by listening to Del Bigtree. There are many others fighting the pHARMa-satan, but he's phenomenal, may H' continue to protect him! Well, there you go! I think this shows that anti-vaxxers really truly believe that they are the ones saving lives and that it's everyone else who is harming and killing people. It also shows that at least some of them seem somewhat unbalanced. "Heroes need not be perfect. Gedolim need not be perfect. They never were, and they never will be. A person who demands never to find fault in his or her mentor will never have a meaningful mentor." Rabbi Adlerstein mentions this in the context of discussing reactions to an earlier essay of his which denounced the opposition to vaccinations. The elephant in the room is a leading charedi Gadol B'Torah who stands at the helm of the anti-vaxxers. Rabbi Adlerstein bemoans how the just and necessary opposition to his support of the anti-vaxxers leads people to disregard his honor and credibility entirely. There's an additional point that should be made here. Many people feel that anti-vaxxers should be called out as evil murderers. Now, I believe in the importance of vaccinations as much as anyone. My post on "The Lakewood Suicide Squad," the all-time most read post on this website (30,000 views), I called out (by name) the small group of rabbis who support the anti-vaxxers. Nevertheless, as I stressed in a follow-up post, "These Rabbis Are Not Murderers," I believe that it is wrong to call these people "murderers" or "evil." They are merely sincerely, tragically mistaken. They are appalled by sickness and death as much as anyone - they simply believe that vaccines contribute to these rather than solving them. Having said that, there is something in Rabbi Adlerstein's essay which I think should be qualified. He writes that "There are fatal flaws, but not every flaw is fatal. A talmid chacham who shows shallow thinking in one area should not be consulted in that area. It does not follow – and experience shows otherwise – that great people can be insightful and incisive in some areas, and not in others." Now, it is certainly true that a mistake in one topic does not necessarily disqualify someone's opinion in every topic. However, certain types of mistake reveal certain types of character flaw or worldview, which are likely to have ramifications in other areas. The case of vaccinations is a perfect example. Someone who distrusts the entire modern medical enterprise either suffers from a conspiratorial worldview, or an anti-scientific mindset. This is very likely to affect their views in certain other areas, and vice-versa. That's why it's no surprise when advocates of alternative medicine turn out to be anti-vaxxers. This is in fact one of the most important lessons which emerged from the notorious controversy over my books. 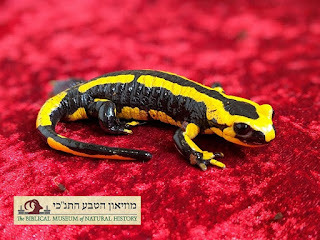 The fact that three dozen leading charedi rabbonim considered it false and heretical to believe that there was an age of dinosaurs, or that there's no such thing as salamanders that grow from fire, was not just a narrow dispute regarding peshat in a few pesukim and a few lines of Gemara. Rather, it reflected a completely different worldview - the non-rationalist worldview - with ramifications for everything from brain-death to shiluach ha-kein to IDF service to marital intimacy to kollel vs. working. It led hundreds and possibly thousands of people to recognize that they needed to be in a different kind of community with a different kind of rabbinic leadership. There are mistakes which are just mistakes. 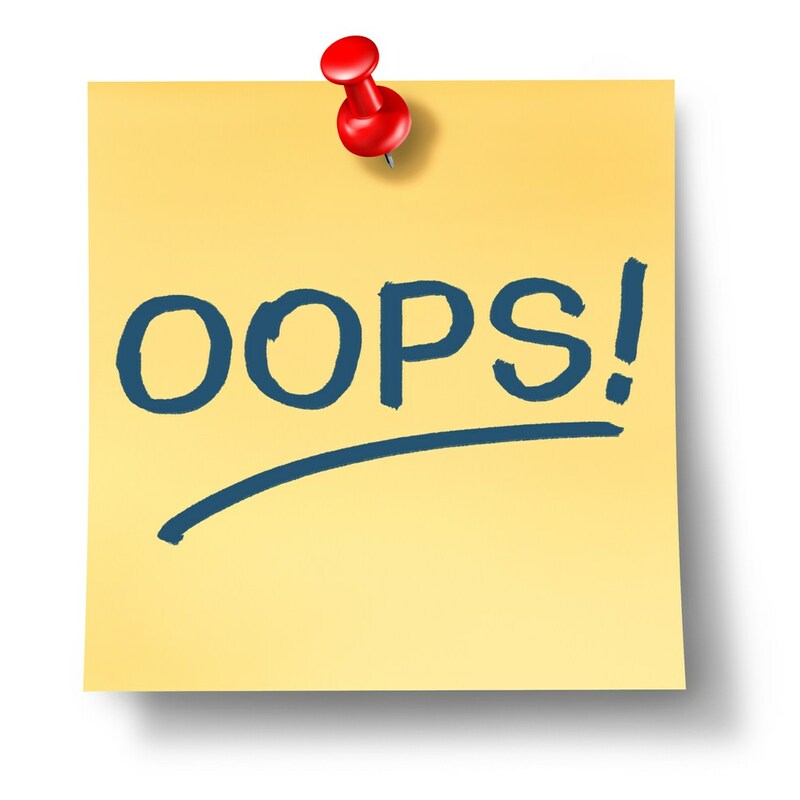 There are mistakes that are indicative of serious personal flaws. And there are mistakes which are neither of the above, but which reveal a different worldview. It's important to recognize these as such. With Pesach approaching, it's kezayis season again. The monograph that I wrote on the evolution of the kezayis, from the size of an olive to a matzah ten times that size, seems to be the most popular piece that I have ever published. If you haven't read it, you can download it at this link. The Popularity of Olives - exploring why this paper is so popular and yet hated by some. Why On Earth Would One Eat A Kezayis? 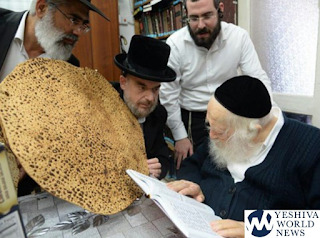 - discussing the strange notion that one should aim to eat a kezayis of matzah on Seder night. Maniacal Dishonesty About Olives - exposing an error-ridden critique that appeared in the charedi polemical journal Dialogue. The Kezayis Revolution - announcing the fabulous sefer by Rabbi Hadar Margolin, which presents the same arguments that I brought but in a more yeshivish manner. He also brings an astonishing array of evidence that many recent charedi gedolim likewise held that a kezayis is very small, including even the Chazon Ish! Best of all, the entire sefer can be freely downloaded. First, there are lots of tours over the next few weeks, including before Pesach as well as Chol HaMoed. But they are rapidly filling up, so if you'd like to come, book your tour as early as you can! 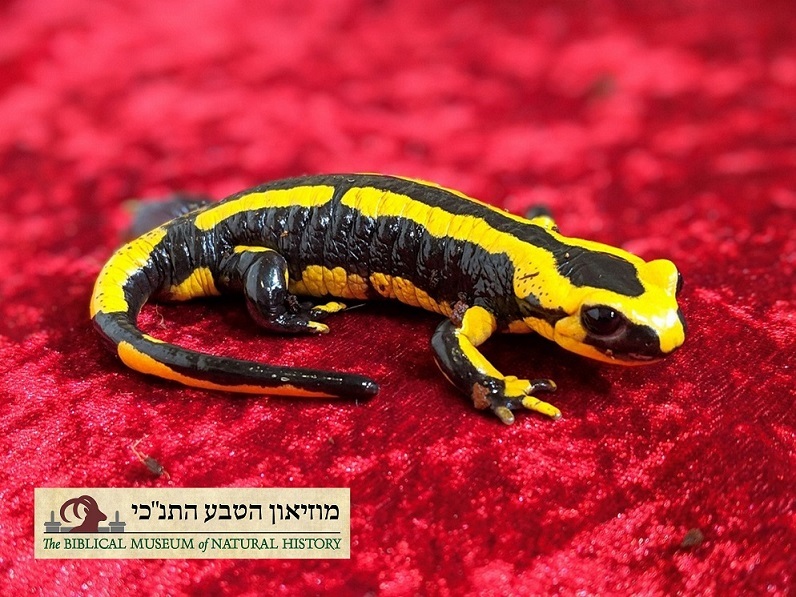 Second, we are really looking for people who support our goals of educating the entire spectrum of society about the relationship between Torah and the natural world, and who want to be part of our mission. To join the museum as a patron, please see http://www.biblicalnaturalhistory.org/support/ for details. We can now arrange tax-deductible donations in Israel, the UK and Canada, as well as the US. For easy online donations, please click this link. Thank you for supporting our mission! Last time we looked at a newsletter from Yeshivas Torah Moshe, featuring a Q&A with Rabbi Moshe Meiselman, he was talking about how Zionist shuls just talk non-stop during davenning and about how there is no reason to say a misheberach for the IDF. In the latest newsletter, Rabbi Meiselman makes an interesting theological claim about the human body. But first, a story. I have an interesting scar on my abdomen. Many years ago, it was arranged that I would give a lecture at a certain shul in Los Angeles. A Syrian Jew who had signed up for the shiur pulled out a blade and knifed me in the stomach. It was a good thing that he did so, because I was lying on his operating table at the time and he was saving my life. The previous day, I had been suffering from terrible pain. I was forced to cancel my lecture at the shul, and the Syrian, who had planned on hearing me speak, instead performed an emergency appendectomy on me. ANSWER: The biological world is vastly more complex than anyone realizes. Current scientific theory asserts that because humans evolved from other organisms, we have accumulated vestigial organs left over from non-human ancestors. Fifty years ago, it was thought that the spleen was such an organism. Splenectomies were done with casual ease. Now, we know that it has many important functions and is a major part of the immune system. Hashem told Iyov, you can't even fathom the vast wisdom imbedded (sic) in the smallest creature. The Sifri in Haazinu says Hashem designed every aspect of the human body to function and achieve its purpose. There are no vestigial organs that evolved and got left inside us by accident. Everything is part of a total design. Dovid Hamelech asked Hashem why he created spiders. Hashem gave him a simple example of how useful spiders are for Dovid Hamelech personally by having them weave a web in front the cave that Dovid was hiding in. When Shaul Hamelech’s men went searching for him, they saw the web woven around Dovid’s cave and figured it is useless searching it since the web made it obvious that no-one had been inside for a very long time. The appendix performs a function in the body that we do not know. But we do know that Hashem made it part of the human body for a purpose. Rabbi Meiselman's response is deeply problematic. First is the misrepresentation of science. While decades ago there were scientists who considered various organs to be merely vestigial and therefore useless, few take that position today. The general view today is to be wary of pronouncing something to be vestigial. Furthermore, even if something is vestigial, this does not mean that it no longer has any use at all. It may still retain some of its original function or even have a new function. In the case of the appendix, it is thought to house beneficial bacteria and enhance immune functions. But here's the thing. Yes, the appendix seems to have some minor benefits. On the other hand, it can also rupture and KILL you. After my own brush with death, I looked into it, and discovered to my shock that even nowadays, there are thousands of deaths annually from appendicitis that is not treated in time! And historically, the death rate must have been enormous. The only reasons why doctors do not routinely remove everyone's appendix today are that (A) the surgery itself carries a certain degree of risk, and since appendectomies can be quickly done in the rare cases where they are needed, it is better not to do it unless there is call for it, and (B) the appendix may be useful for reconstructive surgery if other parts of the body fail. But if you lived in a time before modern surgery, and you had to choose between living your life with an appendix (and no possibility of it being removed) or living without one, it would be vastly better to choose living without one. Whatever minor benefits the appendix has, these are certainly outweighed by the fact that it can kill you. Even today, people who go to live in the small research/military town of Villas Las Estrellas in Antarctica, where there is no easy way of reaching a hospital, have to get their appendix removed before they go. The human body is an amazing thing. But it does not demonstrate that it was designed from scratch, with optimal design. Rather, it demonstrates that it developed from animals. That's why so many of us get lower back pain - because the spine was originally in a horizontal position. 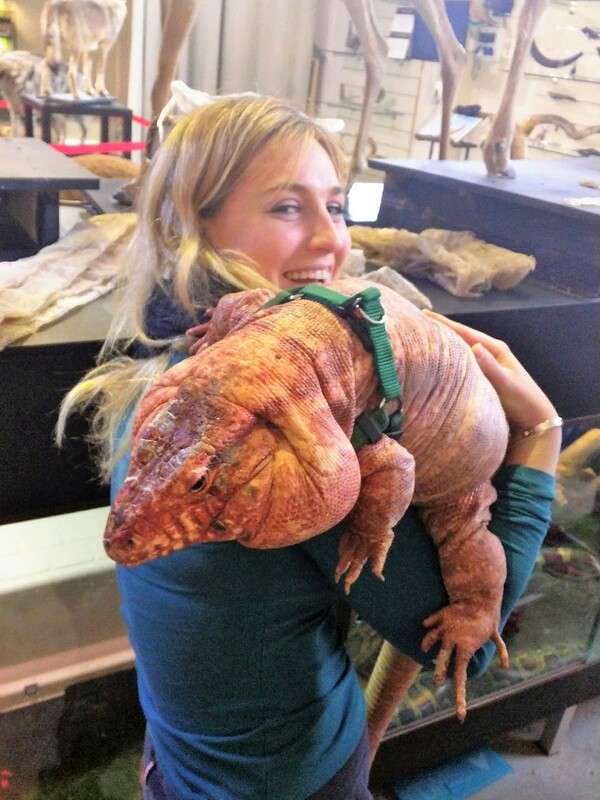 That's why we get goose bumps when we are cold or scared - because our animal ancestors had fur which would stand on end and keep them warm or make them look bigger to scare away predators. And that's why we have organs which have some benefits, but which can also go badly wrong and kill us. There's no theological problem with any of that. As I discussed in The Challenge Of Creation, several 19th century theologians welcomed the theory of evolution, because it finally solved the problem of sub-optimal design. If God designed man from scratch, then these quirks are theologically problematic. But if God chose to develop man via a process of "creative wisdom" (to use Rav Samson Raphael Hirsch's description of evolution), via which He used laws of science to develop man from earlier forms, then these quirks are inevitable side-effects of the amazing creative process that was used. The charedi community often professes great disdain for the fundamentals of modern science concerning the antiquity of the universe and biological evolution. On the other hand, with the exception of the anti-vaxxers, the charedi community usually professes great respect for modern medicine. The appendix - and in particular, the practical situation of going to Antarctica - is an interesting case where the two are inextricably linked. Would Rabbi Meiselman advise people in such a situation against having an appendectomy? If not, then it exposes the flaw in his worldview. Because if man was designed from scratch by the ultimate engineer, the advantages of an organ should outweigh its disadvantages.